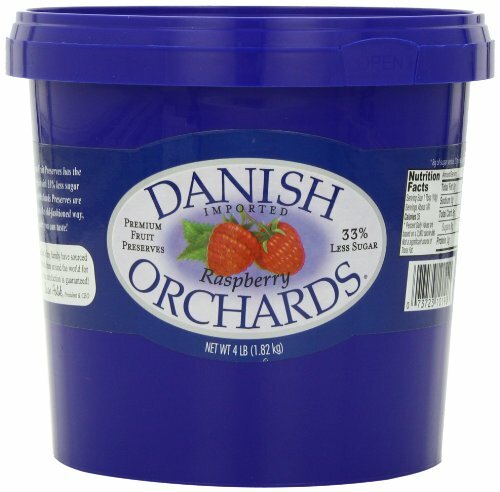 Danish Orchards Raspberry Preserves comes in three 4 pound tub. It contains 33 percent less sugar than regular jam. It is slow cooked in open kettles, the old fashioned way. It is packed in convenient re-sealable, recyclable tubs. Since 1963, Acme Food Sales has imported fancy foods from all over the world. Three generations of my family have sourced quality products and your satisfaction is guaranteed. 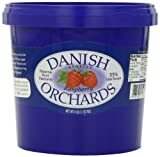 The Danish Orchards brand represents our sourcing partner?s efforts to provide the finest quality food products for our loyal customers throughout the United States. 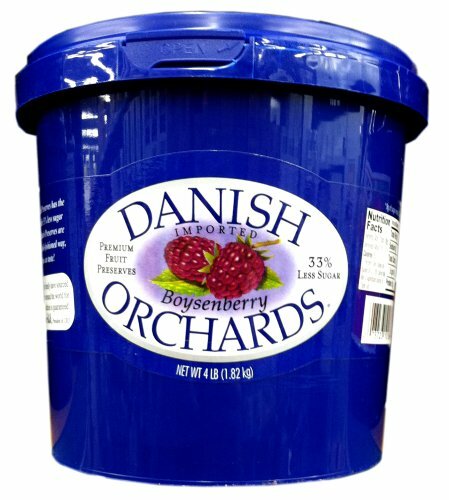 Danish Orchards Boysenberry Preserves comes in 4 pound tub. It contains 25 percent less sugar than regular jam. It is slow cooked in open kettles, the old fashioned way. It is packed in convenient re-sealable, recyclable tubs. Since 1963, Acme Food Sales has imported fancy foods from all over the world. Three generations of my family have sourced quality products and your satisfaction is guaranteed. The Danish Orchards brand represents our sourcing partner?s efforts to provide the finest quality food products for our loyal customers throughout the United States.